Example 1 – Dr. Xin Lu, a researcher at the MD Anderson Cancer Center in Houston, contributed some nice images of his work with GFP-tagged tumors in a universally red-fluorescent (RFP) mouse. 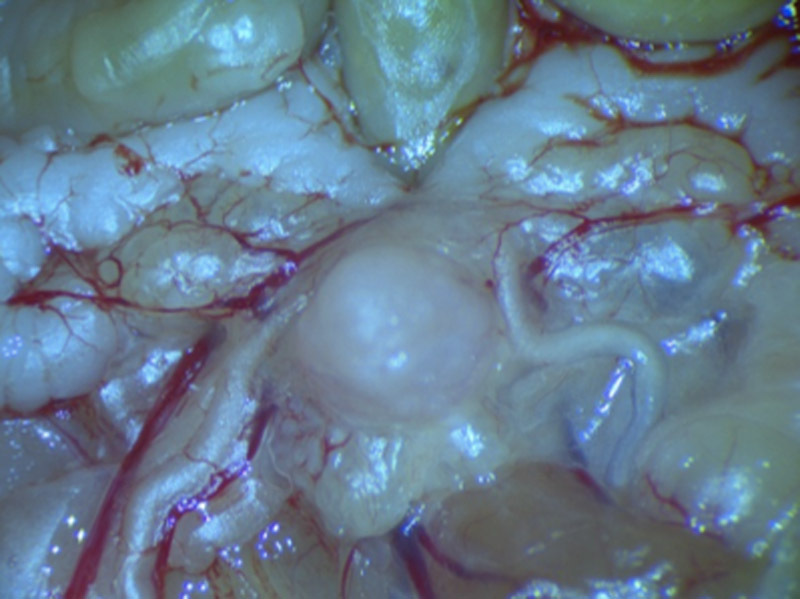 Dr. Lu added the NIGHTSEA Stereo Microscope Fluorescence Adapter to his Nikon SMZ745 stereo microscope so that the tumor would stand out, making it easier to dissect. 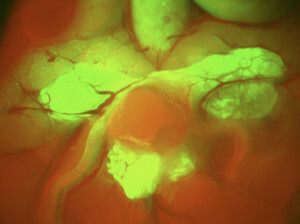 The photos below show the image (1) in white light, (2) using the Royal Blue excitation/emission set to capture the green fluorescence, (3) using the Green excitation/emission set to capture the red fluorescence, and finally (4) a color composite of the green and red channel images. Example 3 – Researchers needed to extract only the GFP-tagged dorsal striatum from within mouse brains. They likened this to ‘isolating a lump of oatmeal from within a larger lump of oatmeal’. When they switched from doing the dissection in white light to using the NIGHTSEA flashlight and glasses they could easily see which portion of the brain to target. It made the dissection both faster and more accurate. 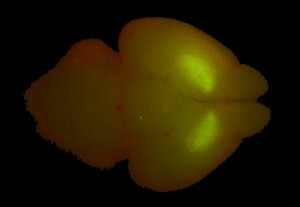 GFP-labeled dorsal striatum in mouse brain. (c) Charles Mazel. Sample photographed at laboratory of Stefano Vicini, Georgetown University. 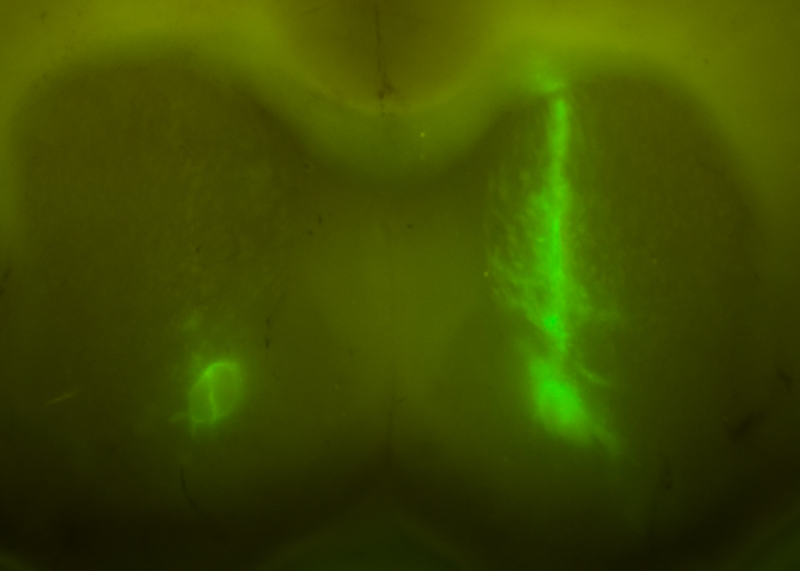 Example 4 – For investigation of the physiological properties of motor and sensory neurons a research group collects GFP-expressing spinal cords from d12 – d13 mouse embryos carrying a particular trait. 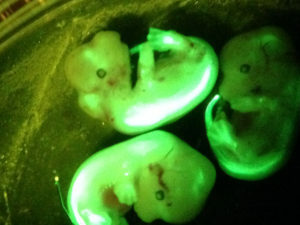 They needed to select and dissect the GFP-positive offspring, and they wanted to do both of these steps without removing the embryos from the mouse facility. 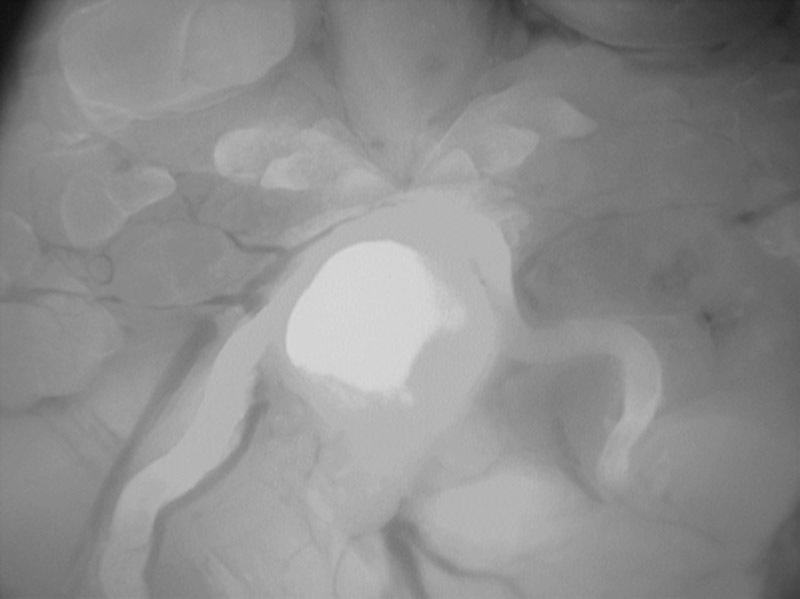 They use the excitation lamp portion of the Model SFA Stereo Microscope Fluorescence Adapter in combination with the barrier filter glasses to select the embryos while they are in a petri dish, then use the SFA with their stereo microscope to carry out the dissection on the spot. You can read our full article on this application. Mouse embryos illuminated by the SFA lamp and viewed through the microscope. 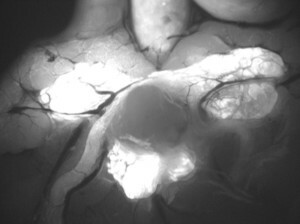 Region of mouse brain into which EGFP-tagged lentovirus vector has been injected. (c) Marina Wolf, Rosalind Franklin University.